Chandan Thakore, the Founder - Director of "NRITYABHARTI PERFORMING ARTS" laid the foundation of this remarkable and unique Bharatnatyam Dance Group in 1998 only for the sake of promoting his students and giving them equal opportunities to show their talents by incorporating new dimensions to Traditional Bharatnatyam Dance with innovative ways in the atricalizing dance form as if it weere a visual symphony. He has not only experimented with the form but also with the medium for his choreographies by blending Uttar Hindustani Music with South Indian Dance in Hindi, Gujarati & Sanskrit devotional songs, ancient as well as modern. His forays into choreography have produced more than 22 most significant Group Choreographies in classical dance on conceptualizing themes from Indian mythology and contemporary thoughts. 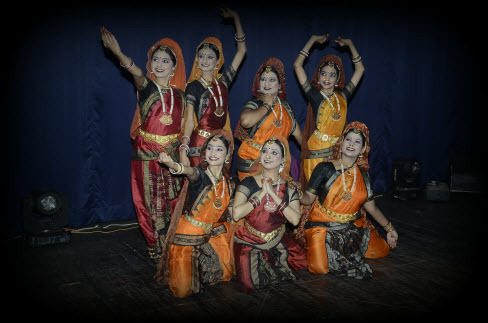 Also he has to his credit some mythological and contemporary Dance Ballets namely - “VISION INDIA” A Journey through the Beautiful Persona of Naari, Siddhartha, Shailputri, Geeta Gobindam, Shiv Nrutyanjali, Shree Krishna Mahaprasthan, Meghdootam and Luv-Kush. Gujarat Rajya Samaaj Kalyan Board – In presence of Honorable Educational Minister of Gujarat Smt. Aanandiben Patel.